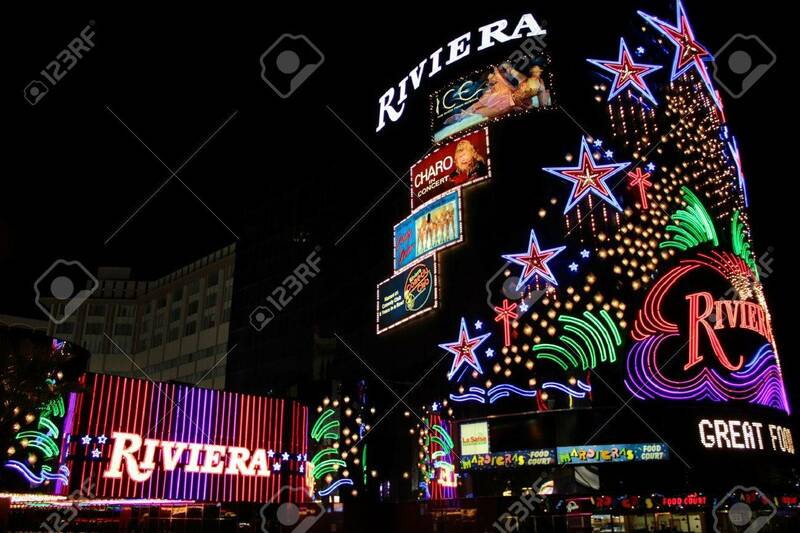 Las Vegas, USA - August 26, 2009: The Riviera Hotel And Casino.. Stock Photo, Picture And Royalty Free Image. Image 13626978. Stock Photo - Las Vegas, USA - August 26, 2009: The Riviera Hotel and Casino is one of the first flashy hotel casinos to open on Las Vegas Boulevard in 1955. Seen here is the brightly decorated sign near the main entrance to the building. Las Vegas, USA - August 26, 2009: The Riviera Hotel and Casino is one of the first flashy hotel casinos to open on Las Vegas Boulevard in 1955. Seen here is the brightly decorated sign near the main entrance to the building.